Evolution of humanity into a posthuman life-form or existence by means of technology, leaving no trace of original humans. The chances of a genetic change of humanity to replace its ancestral predecessor is low, but possible in millions of years from now. Commentators such as Hans Moravec argue that humanity will eventually be supplanted and replaced by artificial intelligence or other forms of artificial life; others such as Kevin Warwick point to the possibility of humans evolving by linking with technology; while others have argued that humanity will inevitably experience a technological singularity, and furthermore that this outcome is desirable (seesingularitarianism). Transhumanist genetic engineering could lead to a species unable to inter-procreate, accidentally resulting in actual (rather than pseudo) extinction. Isaac Asimov's The Last Question, Greg Bear's Blood Music, and Arthur C. Clarke's Childhood's End provide diversions on this theme. Evolution of humanity into another hominid species. Humans will continue to evolve via traditional natural selection over a period of millions of years, and homo sapiens will gradually transition into one or more new species. This mechanism for the extinction of Homo sapiens would, however, require that regional interbreeding ceases for tens of thousands of years. Evolution of another species that out-competes humans for food, habitat or hunts as prey.As you can see transhumanism has now made it's way to wikipedia, yet none of this is new. We all know the possible dangerous associated with human enhancement, and other technologies. Only everyone seems to tip toe around this overly huge clause in the "road to utopia".. Seriously the entire thing sounds insidious simply listen to it. Come my child I'm going to take you to paradise, oh and by the way you may not survive the journey. not just you. Sorry for the confusion. The truth of the matter is that this is far easier to being a reality than most people really give credit to. Lets take our closes animal relative's DNA. If we share 99% our Dna with a chimp I dare ask you a simple question, how much of our dna can we change before the resulting genetically altered being is considered another species from humans? Quickly most of you transhumanist out there will dismiss this possibility of genetic extinction with your own delusions that everything will be done in a democratic way. Augmentation is a choice not mandatory, there will not be any type of mass genetic manipulation done. Most of you will argue this point and it's a valid point. I also understand you need to support your right augment by stating that many safe guards will be put into place. I will even balance the argument by throwing out to the reader that recently the world transhumanist association has adopted a new declaration. One immediately odd aspect of Scanlon's position that ‘well-being’ is an otiose notion in ethics is that he himself seems to have a view on what well-being is. Regardless of the transhumanist desire to seek out genetic manipulation and there stated friendliness towards humans just the there sole existence and philosophical beliefs is what threatens the human species on a broader deeper level which we will explore here. Returning to our debate which is a not really a debate, Gregory stated in the video "To imagine we are not going to use these technology when they become available is as much as denial of who we are as to imagine we will use these technologies and not fret and worry about it a great deal"
In other words, transhumanism will come about whether it or isnt ethical, therefore debating over whether we should go down the transhuman route is a pointless over something that will come about. A more productive conversation is the effects transhumanism will have on present day humanity. Gregory also puts and end to the entire debate elegantly. "Sure we need to debate these things and i think its wonderful that we do but we should not kid ourselves that we are going to reach a consensus." He end he's conversation by making an analogy to birth and the mess that comes with it, this birth is Human 2.0 or the current understanding of transhumanism. Now before we dive into a speculative theory of a possible progressional timeline, I want to state that this is not the work of a bioconservative, or a bio-luddite. I state this because Ive noticed that calling the work by such terms gives people a sort of comfort to discard it from the mostly pro transhumanist pro genetic augmentation writing that's out there. My friend aaron brought to my attention a great label for our work that I feel is more fitting, techno-skeptic. Like any great venture in human history a healthy dualistic debate is needed to help guide the safest path, a path I currently feel is heavily weighted in optimism and very little scrutiny. We can now begin to explore what technologies such as bioinformatics will do to the human species. I'll begin by saying congratulations humanity you hacked your own code, now what? Well any programmer will tell you that once you get the source code of a program the flood gates open to program alterations. Now you cant just dive in the program and massively make changes, that would be to chaotic and give you no real clue of how the operating language works, instead what you normally do is tweak a single value and see what happens. In a very direct way this is how we will slowly bring about our own genetic genocide, one gene at a time. In our timeline this starts with our babies, a process that is currently well underway. We will literally buy into safe guards of making sure our children don't inherit our bad genes. This process of carefully constructing your children's genome will increase to the point that you may opt to use your own gene's for the creation of your child. Enhanced genes will get introduced into the designer baby culture, giving newly parents increased options, such as greater attention, enhanced immune system and so forth. Parallel to all of this our food will continue to get genetic tweaks, and you know what mother would always say, your a byproduct of what you eat. Everything I have described so far are simply the first phases of an ever increasing incremental alterations, some done at early stages or before birth. Of course progress will done slowly since we are still new to the code, a code that will get cyphered more and more throughly through the use of Ai's and other Dna informational technologies. Soon enough this process accelerates in terms of the percentage number of the population altering there genes. Lets not forget about gene therapy, especially in a time where every day there's talk of flu pandemic fear. Yes even google has joined the H1N1 fight by setting up programs that will track the outbreak. Why is this important to the broader topic, well I argue that while currently we use vaccines for containment of possible pandemics, in the future we may just opt to attack such threats at the genetic level. Ashanthi's gene therapy procedure, doctors removed white blood cells from the child's body, let the cells grow in the laboratory, inserted the missing gene into the cells, and then infused the genetically modified blood cells back into the patient's bloodstream. If we can change people's genes by inserting modified blood cells into there bloodstream who's to say that this cant act as a mass population genetic alterations with even more advance technologies. Now Im not theorizing that such a thing is currently taking place dont walk away thinking that this is a conspiracy article, we are exploring possible routes that can lead towards the genetic extinction of the human race.To continue our critical look or shall I say our techno-skeptic look at the genetic revolution, I will ask you another very profound question. How many genes can we alter in the current human body before we can say it is no longer human? Well I believe this question will turn into a philosophical debate before long for the sole reason of stalling any real sanctions .. On a more direct and purely mathematical level we may be able to take a stab at this question. I also don't mean to insult any geneticist out there, I know it's far more complex than this. 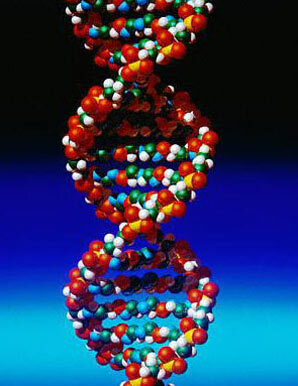 As of 2004 the same scientist that decoded the genome revised the amount of genes to (20,000 - 25,000) genes. Let's use 25k as the amount of genes in a human and adjust 1% to match our closes relative this gives us a 250 genes tweak. Again this is simply showing you that the room for genetic manipulation is very small. All in all what you should take from this is that incremental slow tweaks to our code will one day render a new code. This new code will also be the code that will continue to breed, and in a nice control systematic fashion, science would have commited genocide on the human race. A genetic hidden war is being fought against humanity and the worst part of all this is that it's a silent killer. My worst fear is that 50-100 years from now when the genome has been throughly changed and several generations of human 2.0's now dominate the landscape, no one even noticed. The process was so slow and so stealfy that the current human species was engineered out of the system and could not even fight for there existence. Maybe one day we will scan each other and the scanner will read 50% human, some of us will not even care. Some of us will be disgusted by the 50% that is human. Would we even noticed that a planetary human genocide took place? It may be slowed down and one can argue that over the extended period of the universe the human species can not stay static. This also doesn't mean that it needs to happen over night. My current broad analysis of all the information I have digested suggest that humans can not survive the singularity, because of scenarios such as this and others. Everything I suggested is also speculated without the use of advance Ai. I wanted to simply extrapolate the genetic revolution and play out the chances of humans surviving it as a separate entity. The final end game will be far more complex with the addition of other powerful technologies, and will certainly complicate matters even more. So if we can't stop it, what do we do? Years ago I would have answered this by saying we should debate possible paths to explore and or ban extreme genetic technologies, now I see that any such actions would simply make the process more dangerous. The best chances for prolonged survival of the "current" human race would be to back up its Dna. We would have to store the Dna and seed a new world away from any technology. Give our human children the ability to start over.. Humans would no longer be able to live on earth, simply because of numerous technological means. The entire species would have been purged from futuristic modern society. The Human race would also be biologically out numbered on the planet, so much so that the gene pool would not be large enough to keep the Human Dna pure. Once the Humans become out numbered the remaining humans would systematically be breaded out of existence by having children with the genetic humans. Once again I believe that humans could no longer stay on earth if they wish to survive. On an interesting side note, the transhumanist declaration line 1 calls for there departure of earth. Instantly you would believe that humanity's survival would be extended if the transhumanist left the planet but this is quite the opposite..If they leave they would have to take all the knowledge and technology with them to prevent us from doing the same thing they did. Let's not forget we are human;) The truth of the matter is that transhumanism is not the enemy of humanity it is science the enabler of transhumanism. So for true long(er) lasting survival of humanity the only real solution would be, for humans to leave earth and conlinize a new planet. Leave tech science and most of our knowledge behind, to literally start over. A task that also comes with a rather interesting twist of events. We cant just go as humans, unfortantley no amount of tech short of opening wormholes will enable us to cross the vastness of space intact. So the solution would come from a possible alliance. Once we have accepted that earth can no longer support human life we would need the help of the transhumanist/Ai to find us a new homeworld. Earth along with all life will continue to modify and pursue greater and greater enhancement till they reach the singularity, a task that may bring about there own destruction as well. The singularity will transform the entire planet and is an event I have stated previously is not friendly to humans, we may not be able to survive it or them for that matter. Besides the singularity is a transhumanist/singularitarian goal, a goal that has very little human appeal if it may not be possible for humans to retain there humanity beyond it. Therefore short of complete war a transhumanist-Human alliance will be needed to aid in the preservation of "pure" Dna... The goal of the alliance would be to assure that they aid in our safe departure and arrival to a world void of science and technology, where (pure)humans would not have the knowledge of our parents. Where things such as genetic enegineering are yet to be discovered. This will not be the final solution but instead will give humanity a greater prolonged chance at existence. Failure for the transhumanist to safetly secure the right to remain and continue prolonged existence as humans would result in a direct clash/war for survival. The essence of the human race will not let itself come close to extinction without a fight. This will become more evident to you as you approach closer to posthumanity. We await your response not through words but through action. As stated way earlier the extinction of humanity is a by product of science and technology an almost un escapable side effect , an evolution if you will. So even in the new home world the threat of genetic genocide will loom humans to a future undetermined date, but even if humans go extinct 1 billion years from now, the point here is that it doesn't have to happen in my life time. Nor will it. Requirements for a proper reboot of the human race are as follow.